Black Raspberry Vanilla - an enticing blend of blackberries and raspberries, with middle notes of white floral greenery, and bottom notes of musk and vanilla. 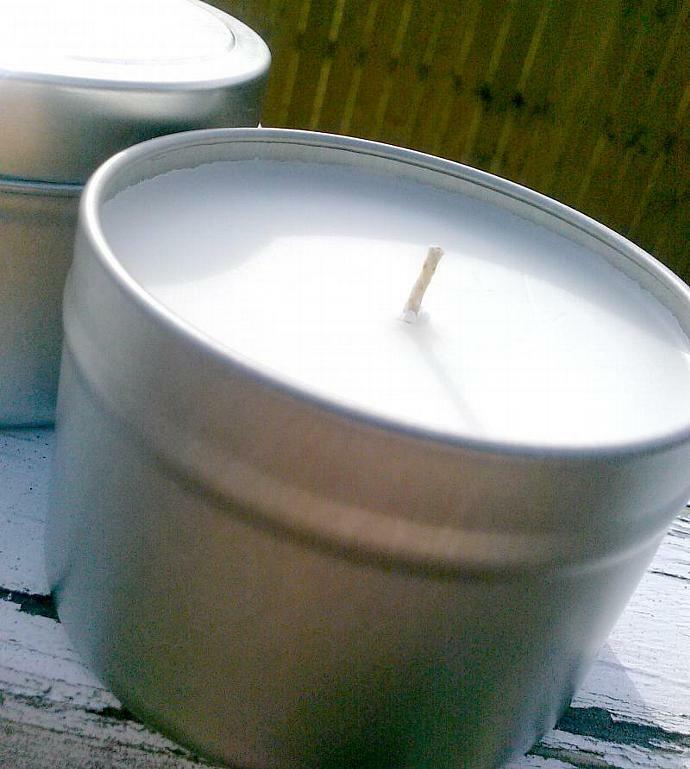 This candle comes in a 4 ounce tin that's great for travel! All Layla Reece candles are hand-poured and made with 100% soy wax and Phthalate-free fragrances, making them ECO-FRIENDLY. All candles are poured into reusable containers. Simply wash with warm soapy water. **Wood Wick - a natural wick made from organic wood that provides a light crackle sound as it burns. *Soy is an all-natural American farmed product. *Soy has a clean burn and produces virtually no soot. *Soy is non-toxic and environmentally friendly. *Soy wax provides a longer burn time because it burns slower and cooler than paraffin waxes. *Soy wax is water soluble so it cleans up easily with soap and warm water. For best results keep your wick trimmed to 1/4" in length and allow your wax to melt an even pool across the candle the first time you burn it.